UPDATED: Thu., Nov. 30, 2017, 3:53 p.m.
PULLMAN – More football games are on the horizon for Washington State and Boise State. On Thursday, WSU Deputy Director of Athletics Mike Marlow announced that the Cougars and Broncos will play another home-and-home series, beginning in 2029. The two-game set will see the Broncos come to Martin Stadium on Sept. 19, 2026. The Cougars will make a return trip to the Treasure Valley the following year to play BSU on Sept. 27, 2027, at Bronco Stadium. The last series between the nonconference opponents was anything but dull. The Cougars and Broncos met earlier this season in Pullman and WSU snared a 47-44 win in triple-overtime after overcoming a 21-point deficit in the fourth quarter. The hosts turnes to Tyler Hilinski late in the fourth quarter and the Cougars’ backup quarterback threw a 6-yard touchdown pass with 1:44 left in the fourth quarter to force overtime. The teams then went blow-for-blow until Jamal Morrow caught the game-winning TD from Hilinski in the third OT. 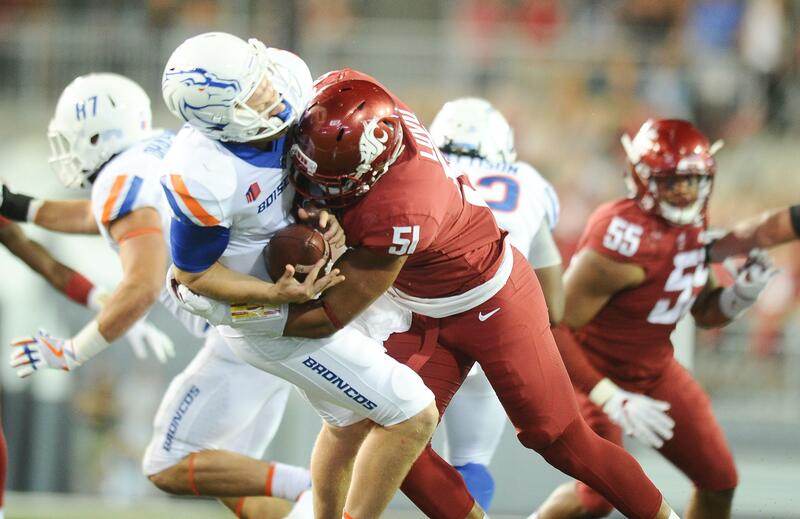 BSU won the 2016 meeeting in Boise, 31-28, and held off a late comeback from the Cougars, who scored the game’s last 14 points and had a chance to either win or tie on the game’s last drive. WSU holds a 5-1 edge in the all-time series with BSU. Published: Nov. 30, 2017, 12:15 p.m. Updated: Nov. 30, 2017, 3:53 p.m.